This piece is an extremely important pattern issue of the highest rarity. 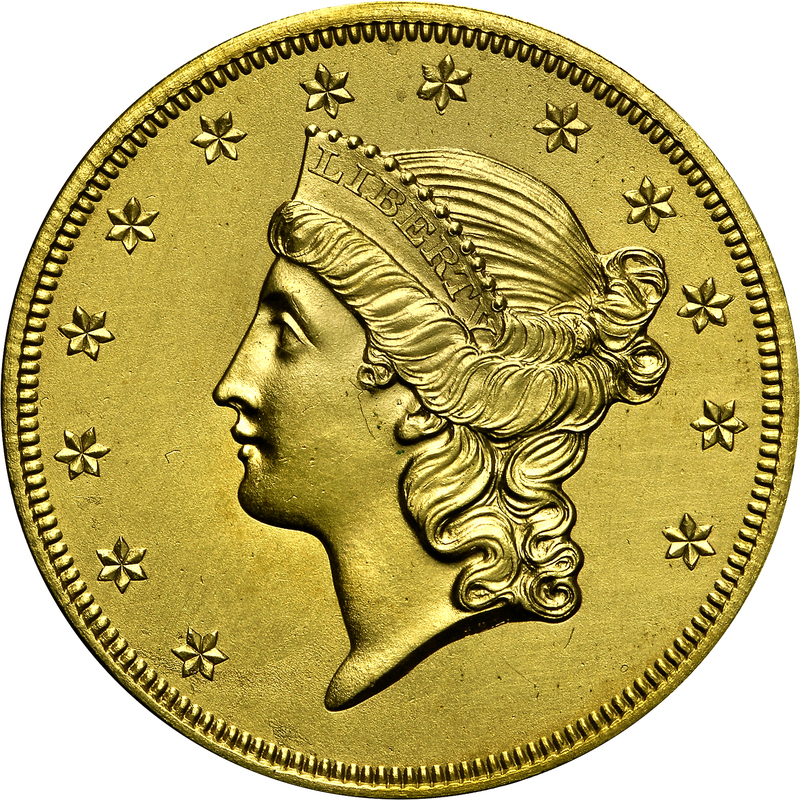 With large gold discoveries in the west, our government needed a convenient denomination to coin this raw material. The double eagle was at once large enough to save labor, yet not so large that it would become inconvenient. 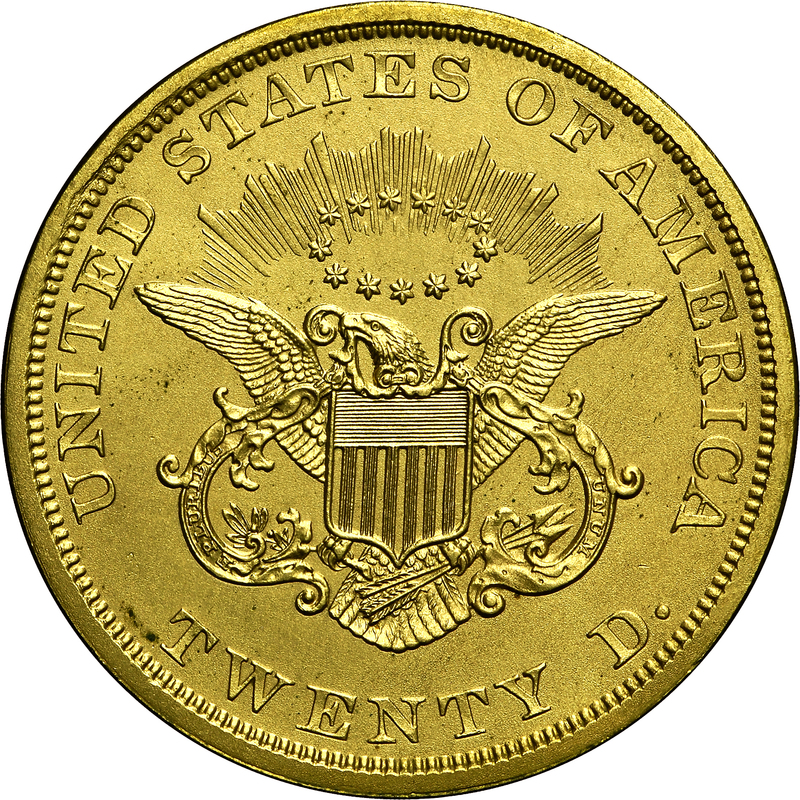 This pattern represents essentially the adopted design without a date on the obverse. 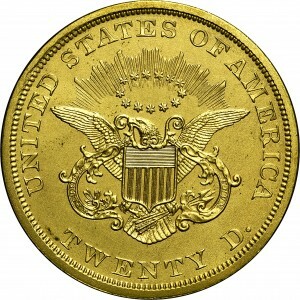 In his notes, Harry Bass indicated that this example is gilt copper. The weight is almost 12 grains lighter than the other two known examples, both in silver. If this is copper, it represents a new variety and is unique. 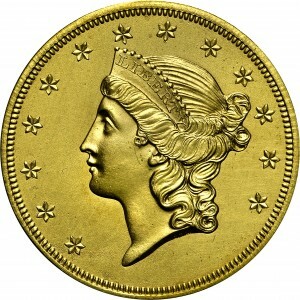 Longacre's head of Liberty to left, 13 stars around, no date below. Longacre's Heraldic Eagle at center, olive branch and arrows in talons, foliate ribbon in beak, E PLURIBUS UNUM on ribbon, halo of 13 stars among rays over eagle's head, UNITED STATES OF AMERICA TWENTY D. around circumference.